I love posting pictures on Instagram as I’m baking, like this one, and I often get asked how do I get my cake balls so smooth? It’s easy peezy, and I’m happy to share my tips! 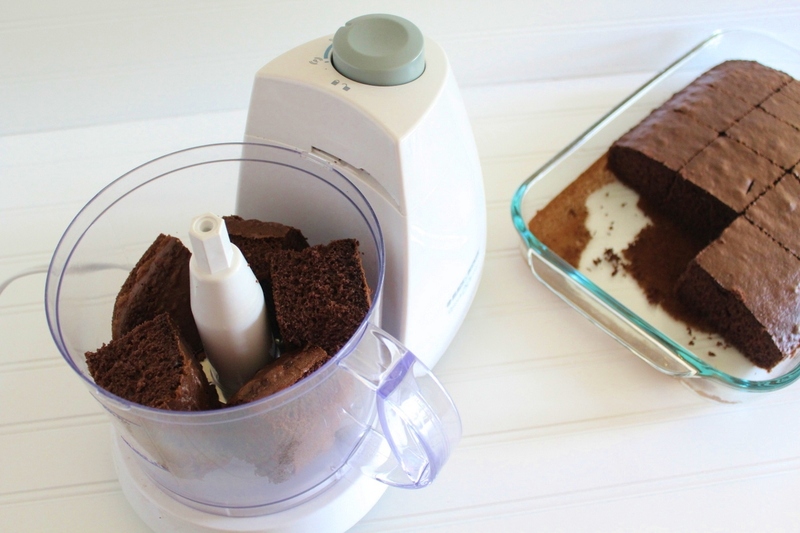 Tip 1: crumb your cake using a food processor. Don’t pack it in too tight… the pieces of cake need some room to move around. If you jam it in there too tight, the blade will just spin around and could affect the texture. Tip 2: use frosting sparingly. I usually just “eyeball” it, but it’s equal to about 1/4 cup. 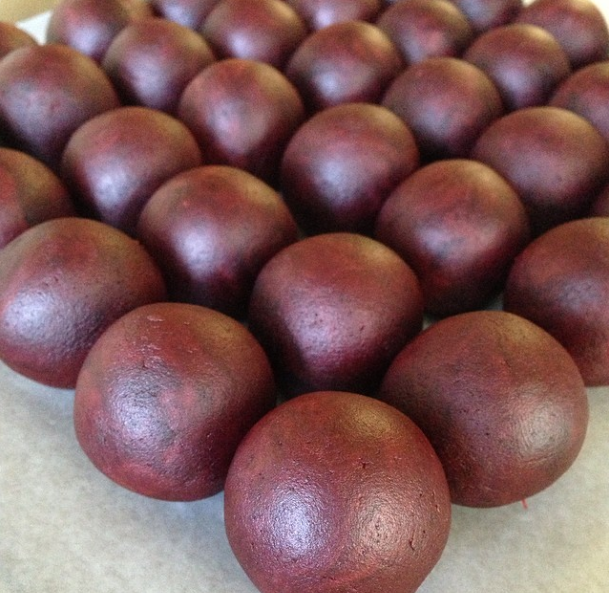 If your cake dough is too wet, the cake balls won’t hold their shape and will have issues being dipped. 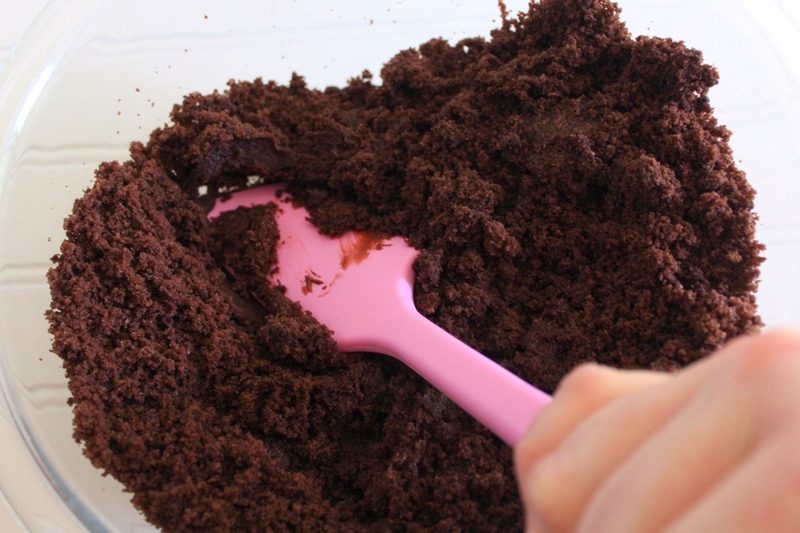 Tip 3: to incorporate the frosting, use a spatula to press it down into the cake crumbs, almost like you’re smearing it against the sides of the bowls. Press the spatula down, and while applying pressure, drag it backwards… Does that make sense? It’s tricky to describe… I keep acting it out as I type this. 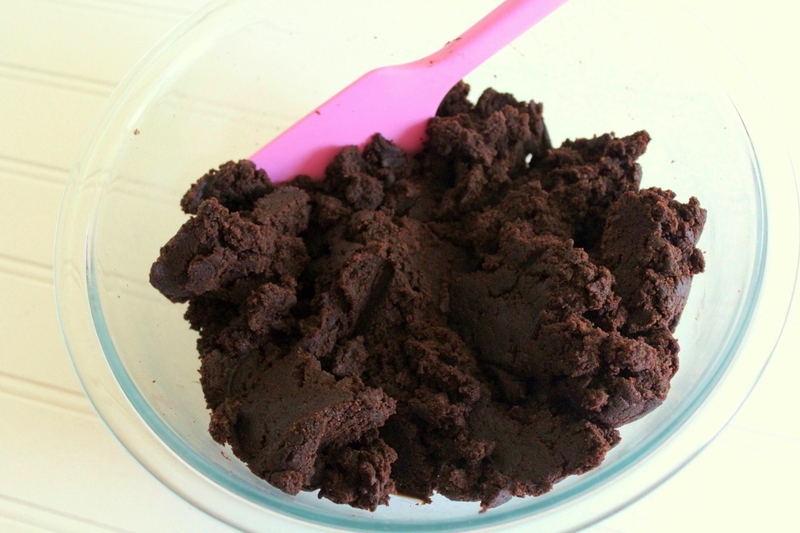 Rotate the bowl as you press into the cake mixture with the spatula… see how it’s starting to look fudgy? As you do this, the cake will form into a dough. Notice that there are no crumbs left around the side of the bowl? Because they are so fine, they are easier to absorb into the dough, and won’t cause lumps or bumps. 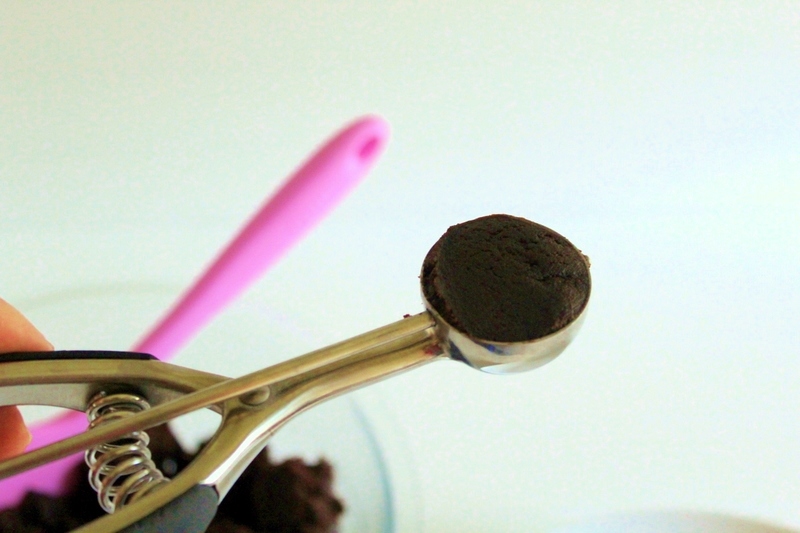 Tip 4: use a 1.5″ cookie scoop to evenly portion your pops. 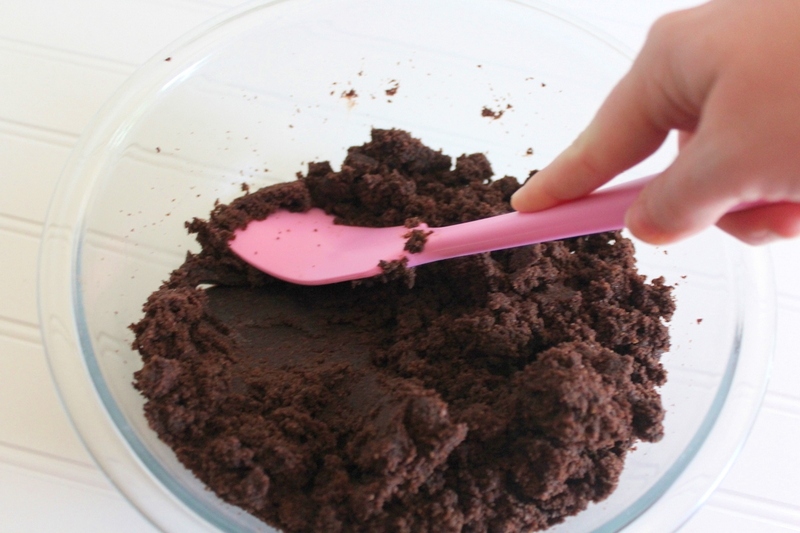 I use the same technique as if you were measuring brown sugar – packing the dough in nice and tight, then leveling off the scoop. After you eject the dough from the scoop, I squish it in my hands a few times, then roll – roll – roll. Ta da! 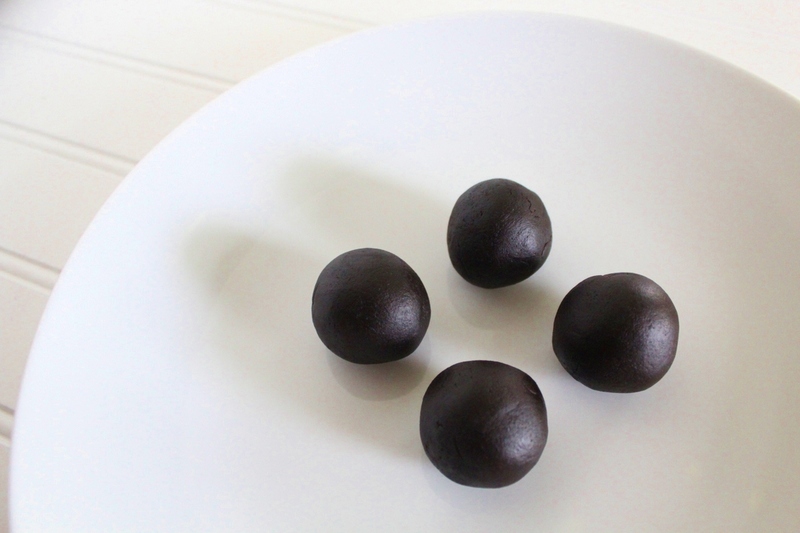 If the cake balls fall apart, then they are too dry and could use a little more frosting. Your hands should also stay clean – if they are the color of your cake, you’ve added too much frosting. Unfortunately there is no recovery if you’ve added too much frosting… that’s why it’s important to use it in small amounts. I usually average 36-38 cake balls per cake. There’s usually more if someone isn’t in the kitchen sneaking samples. 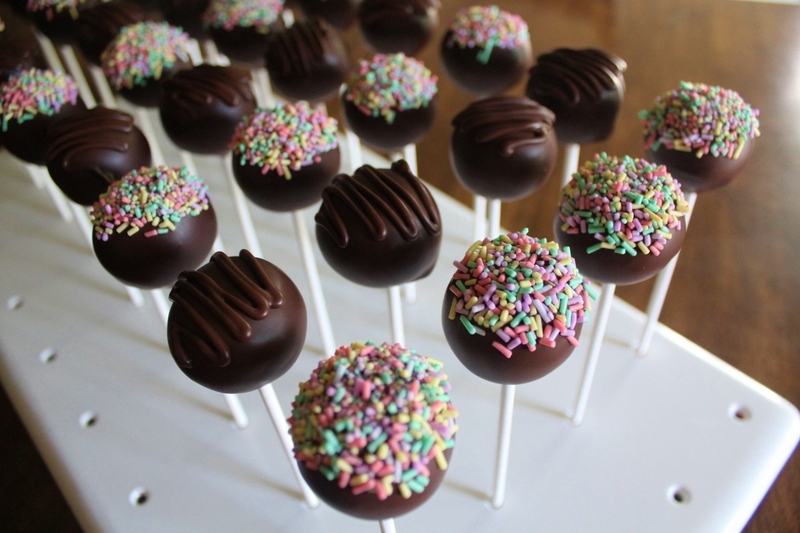 Top the dipped cake pops with a simple drizzle or dunk them in some sprinkles… can you ever have too many sprinkles? I didn’t think so. Great technique. .I do the same..keeps them coming back every time! I’m too lazy to wash all the part of the food processor, but that does seem like a good idea to get smoothness. Unfortunately, I don’t like the texture of pops to be toooo truffle-y and so I think not being as smooth inside makes them taste slightly more like cake still to me. Still great tips though. I often add only cream cheese or soft butter with maybe a few drops vanilla instead of a real frosting and make my own cake recipes with a few tablespoons less sugar to balance out the intense sweetness of the coating. May I ask how wide your pops are approximately? 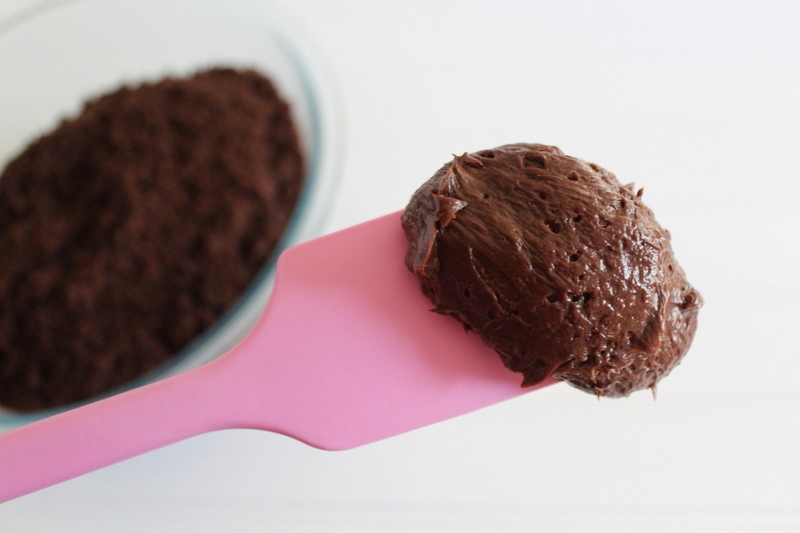 …and use NO frosting and they come out perfectly smooth and dip so well! Jodi if you do not use the frosting what do you use for them to stick together? Not everyone uses frosting actually. I have only recently discovered this. I use frosting because I love the extra sweetness, but a friend of mine never uses it. If the consistency of your cake is right it will actually hold itself together in a ball without the aid of frosting. I tried it and it worked. I still prefer using the frosting though. I am a new home baker of trades. I love baking and want to live to bake. I love to see a YouTube. You know, I think there are like “kitchen elves” or something because I have that same problem with “samples” disappearing … thank you for the tips, all the way from New Zealand! I make wedding cakes for a living and there is often an off cut from leveling a cake which I can’t bear to throw away. Cake balls are the answer! 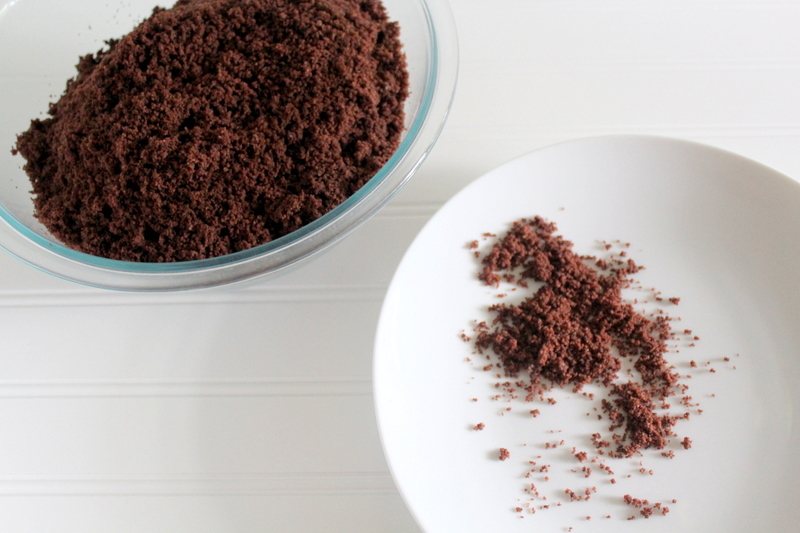 If you put aside a 1/2 cup or cup of crumbs before adding the frosting, then you could use that for your recovery in case you added too much frosting. Do you have any advice for dipped cake pops that crack? It never fails! I roll and dip and the chocolate always cracks. Help!! Cracking is usually a temperature issue. 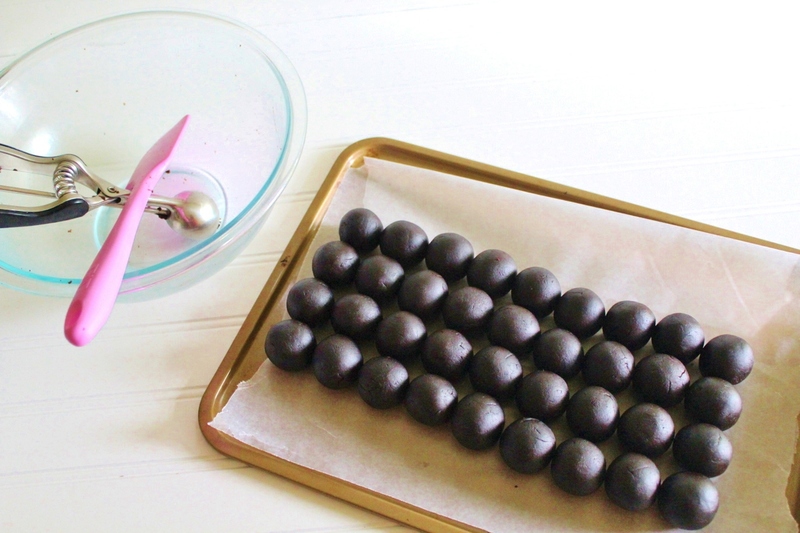 Do you refrigerate/freeze the cake balls before dipping? Try keeping them at room temperature. I usually freeze or refrigerate them to keep them firm before dipping. Most recipes say to refrigerate. I’m going to try leaving them out! Thank you!